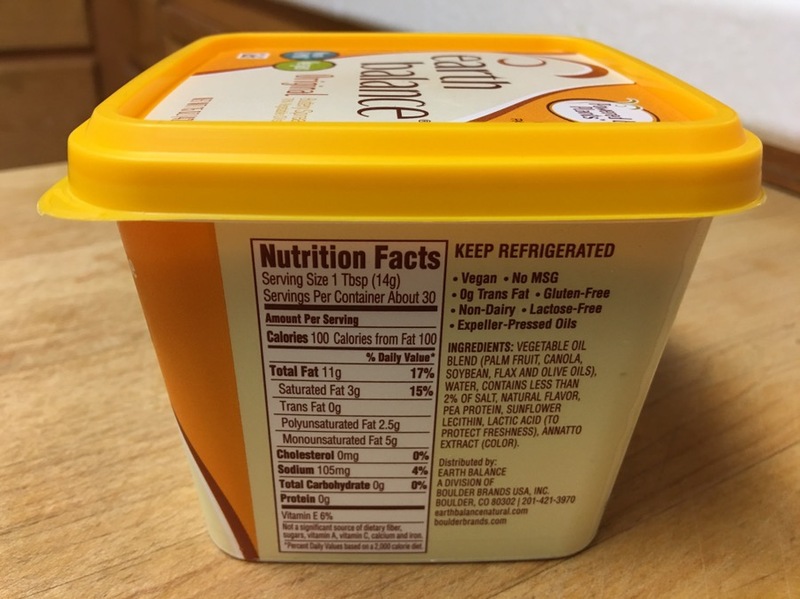 Influenster gave me a sample of the vegan product Earth Balance Buttery Spread ($4.99 without the free coupon), and compared it to Challenge Spreadable Butter. 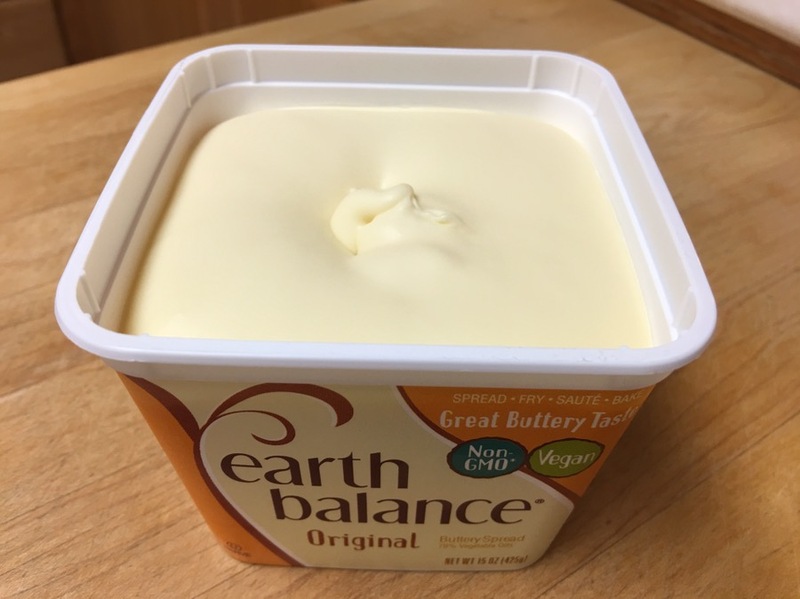 Earth Balance is noticeably harder, spreads harder, but not too bad. 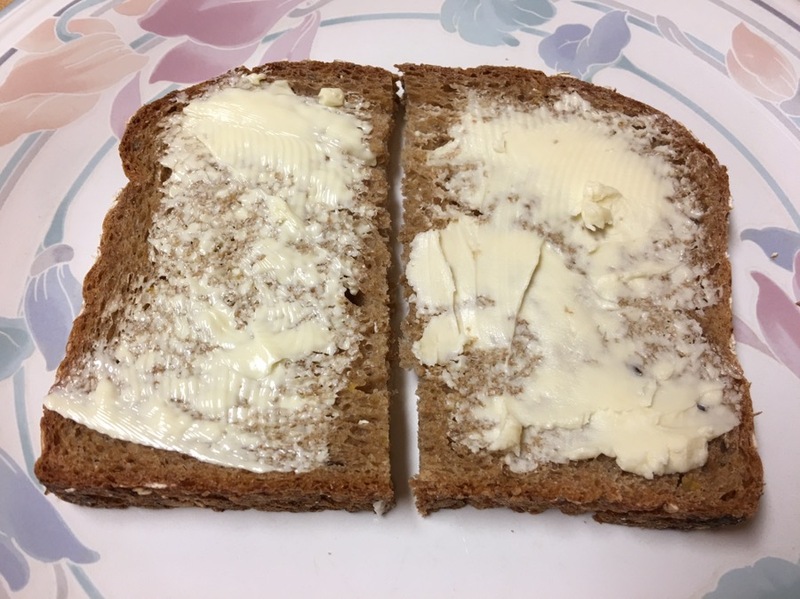 I spread both Challenge butter and Earth Balance (on the right) on Trader Joe’s multigrain bread. The Earth Balance has slightly more sodium than Challenge, but for some reason tasted less salty to me. 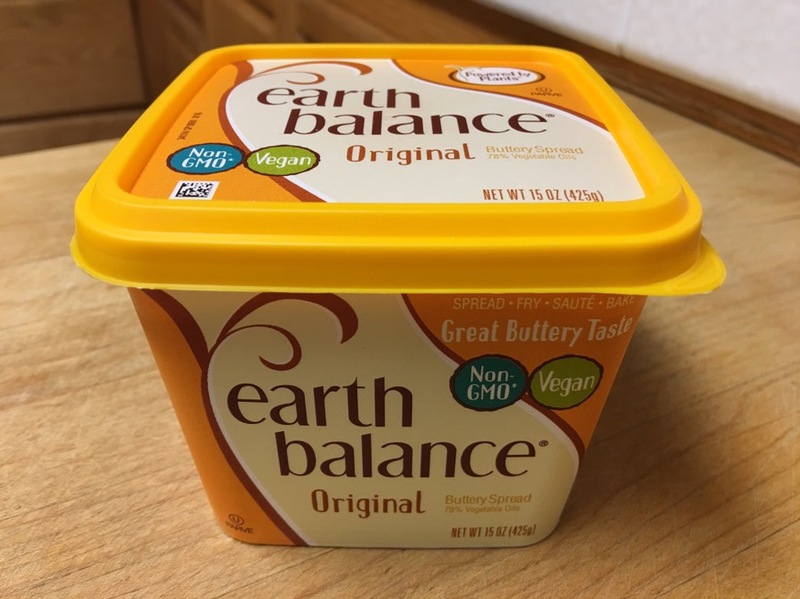 Surprisingly, I liked the Earth Balance over Challenge Butter, even though it’s completely vegan, containing no dairy.